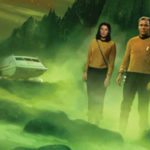 As a tie-in to celebrate the fiftieth anniversary of Star Trek: The Original Series, Simon and Schuster’s Imprint, Pocket Books, released an exciting new trilogy by John Jackson Miller, long-standing bestselling author of Star Trek books. 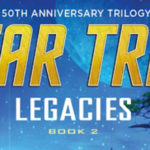 Like the Legacies trilogy released earlier in the year, the Prey trilogy takes place across decades, encompassing characters from various series. While Legacies is essentially an original series trilogy, Prey is essentially a next generation trilogy. 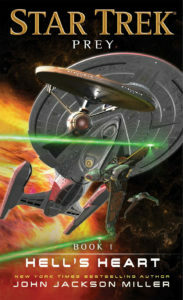 As the title implies the core plot of the trilogy revolves around the Klingons, so there is action and intrigue aplenty. 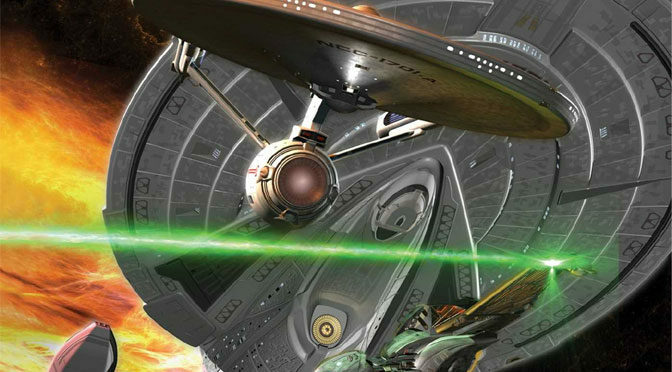 The book opens with the Enterprise-E under Picard ferrying the Kahless clone and various members of the House of Kruge (famed for his fight with Kirk in The Search for Spock) to a memorial on the planet Gamaral. The House almost fell apart after Kruge’s death, but instead of a single member rising to lead it by fighting the others, an unprecedented accord was reached whereby the House was shared among the various heirs. This peaceful arrangement was the cause for the upcoming memorial. Unfortunately, the heirs to the House of Kruge are not an honorable group. Instead they are petty, lazy, and generally weak. 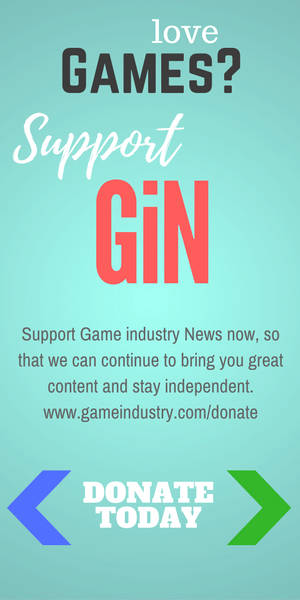 Because of their petty squabbles and infighting a gin’tak, or regent, had been managing the extensive holdings of the house and doing a tremendous job of growing the fortunes of the house despite the sad state of it’s heirs. You don’t want to miss this one. 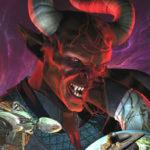 Hell’s Heart is heavenly sci-fi. Grab a copy from Amazon! 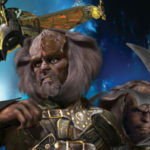 Kahless agrees to come out of his self-imposed hermitage to conduct the ceremony, but as they travel to the Gamaral, and Kahless learns about the character of the heirs he is increasingly reluctant to be involved. Admiral Riker onboard his ship, the Titan, is meeting with the Enterprise-E to help with preparations for the big event, which is to be broadcast live to the entire Klingon Empire. With Riker is Ambassador Rozhenko, Worf’s son, who is also involved in the preparations for the Gamaral ceremony. The ceremony itself has been designed to honor the heirs in an attempt to placate them to allow free transport past planets they administer. This is all to pass an important free trade agreement between many factions in the galaxy. While all this goes on, a shadowy group plots against the celebration and its honorees. This group has another view entirely on the House of Kruge and the alliance between the Klingon Empire and the Federation. They will strike decisively from the shadows and rock the Klingons and their allies to their very foundations. Hell’s Heart is a face paced, action-packed read. From the first pages Miller builds a complex plot with characters that are sympathetic even when some of their actions are reprehensible. Miller does an excellent job of writing multiple points of view, giving each character a distinct voice and a distinct set of motivations. His settings are evocative without bogging the reader down in lengthy descriptive passages. He makes good use of action in describing setting, particularly on the vicious world of Thane which comes in later in the book. 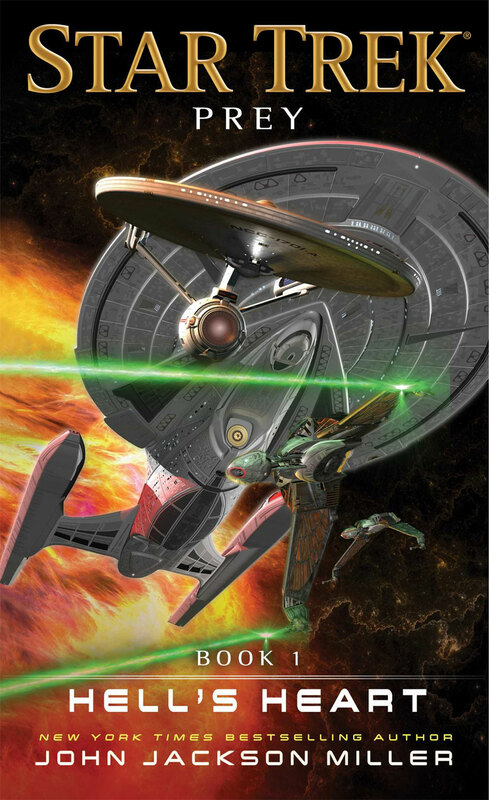 This is a must read for Star Trek fans, particularly to those partial to Klingon stories. Check it out for yourself and let me know what you think in the comments below.